In the modern era, everything now revolves around the Internet, from watching movies, listening to songs, making payment; the trend being that ‘Online’ is the standard these days. TimeTec understands this notion perfectly and we believe there always should be an option when selecting a Smart Product and of course, even when it comes to reading. Therefore, TimeTec now presents you with the Ebook version of our First-Ever Guidebook to Smart Residential Communities. Like our Cloud-Based Solutions, you will likewise be able to access Smart Residential Communities regardless of when or where. As one of the pioneers in developing smart community systems, it is our responsibility to guide the market in a more holistic manner. 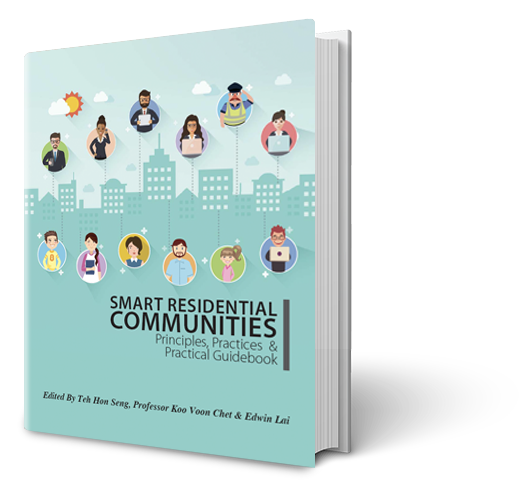 This book contains 5 Parts, split into 20 Chapters, giving the comprehensive views from the basic definition of Smart Residential Community to hands-on guides, security measures, technological aspects, and its future development; which will serve as a useful guidebook for housing developers, property managers, management committees, interested parties as well as readers. Get started by downloading your copy today and discover the benefits of a smart community.